How are chickens, rabbits and goats a display of Christ's compassion? It's simple, when a family receives one of these items, they're blessed with the income the animal provides. Smaller animals reproduce quickly, and their offspring can be sold. Larger animals can plow a field or pull a cart. Receiving a gift from the stable truly changes a life. 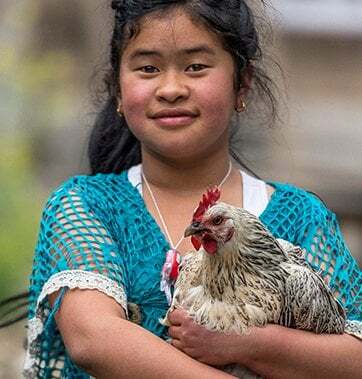 The gift of chickens supplements a family’s income and often helps a family get on its feet financially. Families can eat or sell the nutritious eggs, or they can hatch chicks to increase their flock and later have more eggs and chicks to sell. These birds of a feather multiply quickly, taste just like chicken and are really cheep! 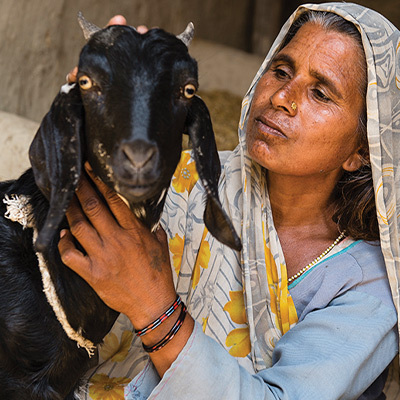 Goats can rapidly improve a family’s financial situation. In the case of one father, one pair of goats multiplied and enabled him to start a goat farm, which later grew to hold more than 75 goats he could milk or sell. 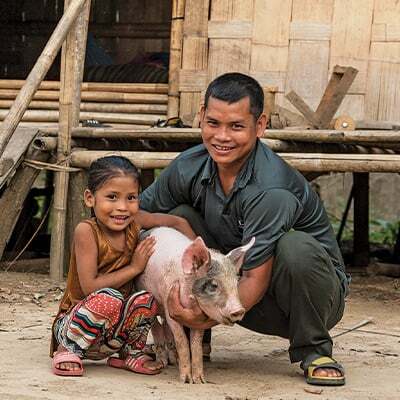 He built a house for his family and sent his children to school, offering them a better future than his parents were able to offer him when he was a child. These portly critters bring powerful financial breakthroughs to needy families. Piglets fetch a good price in market, which enables families to buy whatever they need, and adult pigs provide ample meat for selling or eating. Water buffalo are powerful animals often used to plow fields. They produce milk for drinking or selling, and their dung can be used as fuel for cooking. 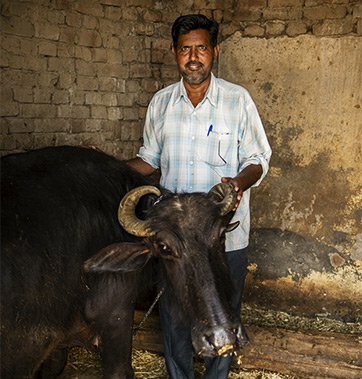 A water buffalo will greatly improve a family’s financial situation! When a lamb matures and produces offspring, its rich milk is an excellent source of calcium, an essential nutrient for young children. Income from selling milk or offspring can provide education, food, medical care or a multitude of other valuable needs for families. And healthier, stronger families mean healthier, stronger communities! 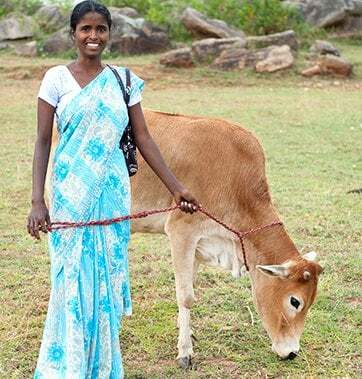 Cows and the milk they produce help families grow stronger, healthier and more financially secure.